Micromax Canvas 4: Disappointment, Specs & BLU Life One! Seems just like the punch sign in the Micromax logo, Micromax Canvas 4 is a punch to all of the hopes and expectations people had it. With all of the aggressive promotion of the Canvas 4 on Social Media and Television, Micromax failed to keep up with the high expectations & hype. Taking hints from the teasers of Micromax Canvas 4, rumours started spreading like fire. There were five major rumours that were circulated. 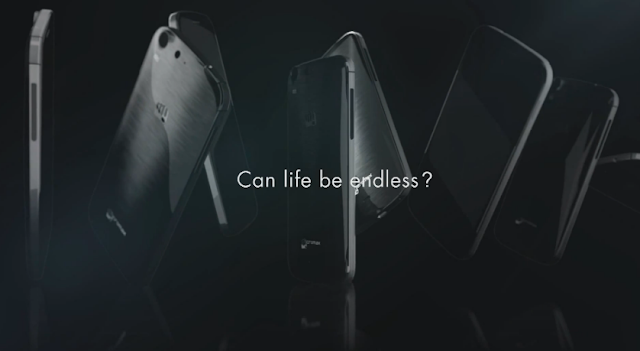 These pieces of specification were not created by people but seemed like hints from Micromax's teaser video itself. The idea of Octa-Core Processor came from the teaser video where the Canvas 4 splits into 8 clones of it. This gave the idea that the smartphone must have power 8 phones i.e an octa-core processor. Secondly, the video said "Can Life Be Endless?". As this video is not about your or my life it should not be suggesting about anybody's life other than Micromax Canvas 4! This was perceived as a hint of a battery which provide the juice to run smartphone for a longer period of time. The full metallic body, full HD (1080p) and 2 GB RAM were imaginations and concept specifications and had nothing to do with the teaser video. So this was all about the rumoured specs. Lets come back to reality. 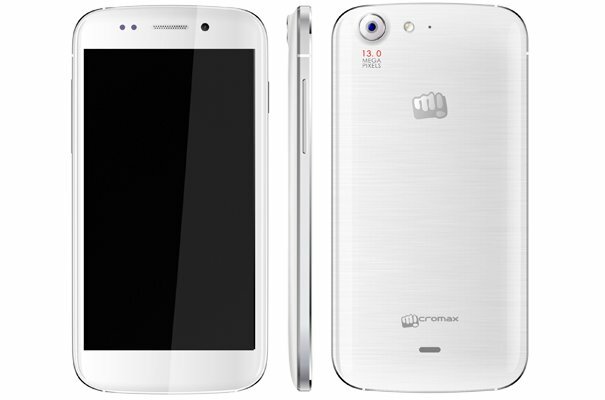 The specifications of Micromax Canvas 4 is listed below. Out of all the specification there are only 2 that I am happy about. 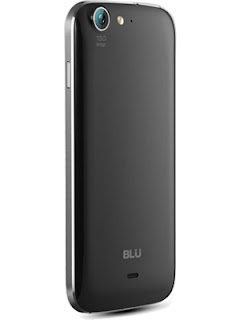 One being 16GB of internal memory and 13 MP rear & 5 MP front camera. The rest of them are the average specs that we see these days. Micromax has yet again chosen the Mediatek 6589 chipset based on the old Cortex A7 core. I really don't get it why Indian brands can't choose newer versions and provide better value to their customers rather sticking back to ancient technologies. 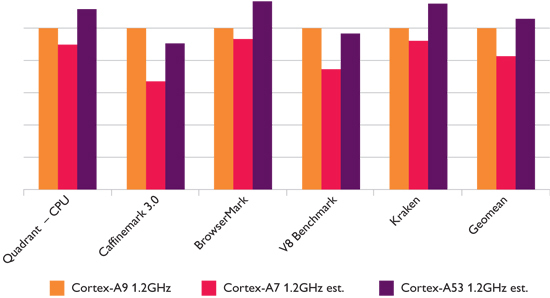 To give you a fair idea how different versions of Cortex stack up to each other, here is a chart from AnandTech. One Fact: Google Nexus 10 runs on a dual core processor with a huge resolution of 2560×1600 and still runs all apps & games smoothly. Blow to Unlock Feature & Look Away! Micromax has implemented a feature on Micromax Canvas 4 that allows to unlock your phone by simply blowing to it. This feature is very gimmicky and is nothing that you will use in your daily life. Imagine how silly would you look while blowing to unlock your phone! This feature might be activated by the sound produced while blowing and it is probable that you might unlock your phone when you don't want, for e.g a windy place or something. The other feature Micromax displayed was "Look Away". This is essentially the same feature as Smart Pause found on Samsung Galaxy S4 which pauses the video if you look away from the screen. Some may call it gimmicky but I find this feature useful as I am always surrounded by people and it feels painful to pause the video everytime someone calls me! I only hope that Samsung doesn't sue Micromax!! A buzz that was going on the internet was that, Micromax Canvas 4 would be a rebranded version of the Blu Life One. Well, I am not saying that's true but the specifications are exactly the same and it has an uncanny resemblance to Micromax Canvas 4. The rest is on you to decide. Micromax, trying to improve their reputation on after-sale service announced that, consumers will be handed over a new smartphone if their problem is not fixed within 7 days after submitting their smartphone at the service centre. This service is currently valid only for Micromax Canvas 4 and I hope that they would include other devices under this scheme. This is a commendable step towards providing better after-sale service and encouraging new customers to try Micromax line of devices who were reluctant to try Indian Brands. -Nikhil Johnson: Just an improvement in camera, gimmicky apps and a little change in design & nothing more. So that's a redefined version of Canvas HD. -Gautam Bhuyan (GnDGeek): Canvas 4 is an upgraded Canvas HD with better cameras and some gimmicky features. -Prince Francies: Just same as Canvas HD. The new Micromax Canvas 4 is a good phone but not what we as consumers expected it to be. I can call it "yet an another quad-core smartphone". There is nothing spectacular or anything new about this particular device. Just as other said, it seems to be an improved version of Micromax Canvas HD. As an Indian Brand, I would really love to see Micromax bring great devices to the Indian Market and capture a high position in mobile phone sector. As of now, I see no point in spending Rs 17k - 18k in buying an average smartphone except for the "replacement guarantee service". If you are looking for a device to play games, watch videos and use all of the latest app but can manage without the calling facility, my suggestion would be to buy the Nexus 7 which costs about Rs 16,000. Being a Nexus device, you can also enjoy future OTA Android updates easily. If you still want to go with smartphone not a tablet, I would advise you to wait and go for the XOLO Play which comes with a 1.5 GHz Nvidia Tegra 3 processor. What is your view on the Micromax Canvas 4? Are you satisfied and happy with what Micromax has to offer? Do let me me know all of that in the comments section below. Also share this article on Facebook & Twitter with your friends and family to let them know more about the Micromax Canvas 4. Don't forget to like our Facebook Page!